“You’re A Mean One, Mister Grinch” was originally written and composed for the 1966 cartoon special How The Grinch Stole Christmas! The lyrics were written by Theodor “Dr. Seuss” Geisel, the music was composed by Albert Hague, and the song was performed by Thurl Ravenscroft. 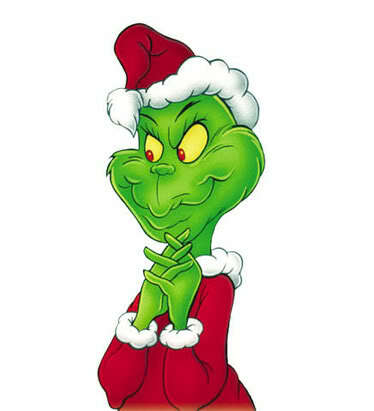 The song’s lyrics describe the Grinch as being foul, bad-mannered and sinister using increasingly creative metaphors and synonyms. Because Ravenscroft was not credited in the closing credits of the special, it is often mistakenly attributed to Boris Karloff, who served as narrator and speaking voice of the Grinch in the special. After becoming aware of this oversight, Seuss himself called Ravenscroft and apologized profusely, and later wrote letters to columnists nationwide telling them that it was Ravenscroft who provided the vocal. Ravenscroft recorded two versions of the selection, one version for the television special and the other version for the soundtrack. The two versions differ in the order of the verses; the instrumentation — the soundtrack version’s accompaniment is more straight-forward, and features fewer instruments and “sound effect” musical events, than the version heard during the special; the nature of singing and the transitions between verses — the soundtrack’s transitions are shorter and less abrupt. You’re a monster, Mr. Grinch. You’re a vile one, Mr. Grinch. I’d take the seasick crocodile. You’re a rotter, Mr. Grinch. You’re the king of sinful sots. This one is a big hit with Megan and Austin! Thanks for sharing the lyrics, I didn’t know all the words… it’s even sillier than I thought!